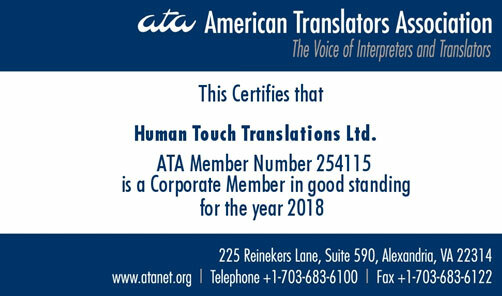 We at Human Touch Translations have the requisite expertise and proven dedication to excellence to help your organization communicate your message globally, expand your outreach and impact, and increase global awareness of your mission. To help bridge the communication gap across diverse cultures and languages, Human Touch Translations is committed to helping build a better world for our children and future generations by contributing to humanitarian causes. We are honored to offer top-notch language services at a special rate.